Deep cleanings are vital to those who show signs of gum disease and are at potential risk of medical conditions related to this dental condition. Everyone should see the dentist regularly. Dentists and hygienists prefer for patients to schedule appointments every six months in order to maintain their teeth and gums as well as to give the dentist a chance to detect problems in their earliest stages. However, the dental field recognizes that sometimes life gets in the way and some people don’t make regular appointments with their dentists. Patients who see their dentist less frequently are more likely to have conditions such as gum disease, that require more extensive treatment. Fortunately, gum disease can often be reversed with procedures like scaling and root planing, otherwise known as deep cleaning. Dr. Bainer took great care of me. I have very sensitive teeth, and he was extra careful to make sure I wasn't in pain, even though I know it makes the process harder for him to do what needs to be done. Dr. Bainer and his staff made coming to the Dentist an enjoyable experience! He is highly knowledgeable, thorough, and made me feel well taken care of. My hygienist, Mallory, was sweet, gentle, and very pleasant! I'm very happy with my experience and am encouraged to come for future cleanings to keep my mouth healthy! I had the best time when I visited the Smile Gallery. I wish yelp had a 10 star rating because that is what this office deserves. they we are fabulous. they fixed my grill. They took me from looking like a Hillbilly to looking like a Million Dollar Producer. Thank you so much Dr Bainer. You are the best dentist I have ever been too. Dr. Bainer is the kindest, gentlest dentist you'll ever meet. 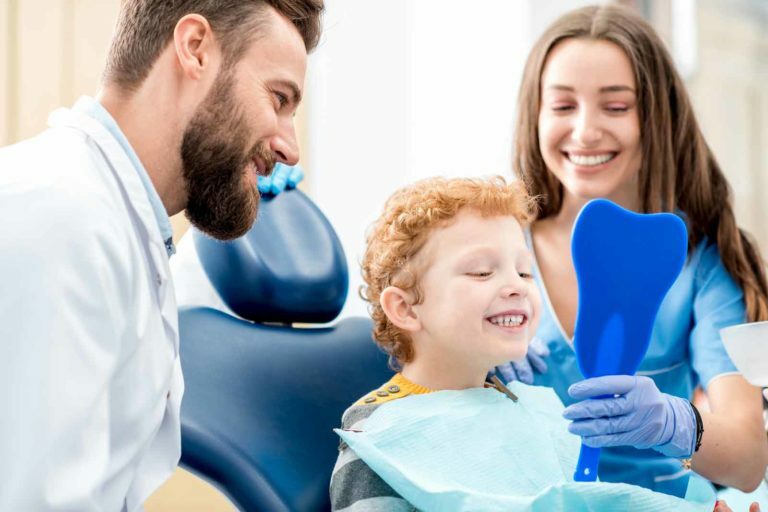 The Smile Gallery uses the most up-to-date techniques and technology, and the kind of gentle care that will actually make you enjoy going to the dentist. I could not recommend anyone more highly. You will not regret giving Dr. Bainer a try. Several of my friends and colleagues have been to the smile gallery, and have experienced Dr. Bainer's excellent care. Dr. Bainer not only uses the latest in approach and technologies for dental care, but his easy-going and pain-free manner sets him far above those other professionals in the dental industry. I would absolutely refer Dr. Bainer to anyone I know. Dr Bainer took the time to explain my options with regards to the chips in my teeth, he made me feel at ease and comfortable in getting them fixed and explained the difference between bonding and a more permanent porcelain fix.. I would highly recommend Dr Bainer and his staff!! I love this office! Excellent staff and very friendly and knowledgeable doctor. Dr. Bainer did excellent work and I have absolutely no complaints. His anesthesia was painless and he made me feel very comfortable. When you schedule to have your teeth cleaned, It doesn't get any better and more pleasant than the treatment you get with Mallory. A+++!!! The first sign patients tend to notice is that their gums bleed when they brush their teeth. They may also be swollen and painful which, unfortunately, could lead to patients brushing less often. That’s likely to make the problem worse. Other symptoms of gum disease include bad breath that doesn’t go away after brushing or rinsing, sensitivity to cold or hot food and drink and in the later stages, loose teeth. Although anyone could get gum disease, some people are more at risk than others. Gum disease has been linked to some pretty serious medical conditions. People who have gum disease may also have heart disease, diabetes or be at risk of delivering a premature baby. When dentists diagnose gum disease, they may refer a patient to their primary care doctor for a medical evaluation to determine if they have one of these conditions. Smokers are more susceptible to gum disease than nonsmokers. Smoking also makes treatment more difficult because the chemicals from cigarettes can get into the gum pockets and make the condition worse. It’s essential for smokers to quit prior to starting treatment if they want it to be effective. Sometimes, gum disease is not related to a medical problem. Poor dental hygiene can also cause this condition. Brushing, flossing and rinsing on a daily basis helps remove plaque from the teeth and prevents it from turning into hard tartar that can damage the teeth and gums. Professional cleanings also remove plaque and tartar so it doesn’t build up over time. When a patient goes to the dentist for a checkup, they can expect the dentist or hygienist to measure between their teeth and gums. Patients that have pocketing are more prone to gum disease. If the pockets are 5 millimeters or more, a dentist may prescribe a deep cleaning to treat the problem. A deep cleaning is very different from the professional cleaning nearly everyone gets at their regular dental appointments. Patients should learn as much as they can about the procedure before their first scaling appointment. This includes learning why they need deep cleaning and what they can do to avoid developing the condition again. Deep cleaning is an effective treatment for people who have plaque and tartar below the gum line. Getting into a regular oral hygiene routine prior to the procedure could make the treatment and healing process easier. Because gum disease may be a symptom of another, more serious medical condition, it’s important for anyone who has been scheduled for a deep cleaning to make an appointment with their primary care doctor. A patient with gum disease may be in the early stages of heart disease or have undiagnosed diabetes. These conditions tend to be easier to control when they are detected early. A patient diagnosed with gum disease can expect to start treatment right away. Scaling and root planing is typically performed over several visits. Depending on the seriousness of the tartar buildup, the dentist may treat one quadrant of the mouth per visit. The first part of the treatment, scaling, involves removing all of the tartar from the teeth, both above and below the gum line. Some dentists use a manual instrument to remove tartar and others use ultrasonic devices. A dentist might also use both. Because there may be tartar below the gum line, patients could receive local anesthetics for pain. Root planing is often performed during a separate visit, but could also be performed right after scaling. The second part of the treatment helps the gums reattach to the teeth. During root planing, the dentist may shape the gums around the root of the teeth in an attempt to close areas where bacteria may collect and cause problems in the future. After the procedure, patients can expect follow-up visits every three months until the gums have completely healed. Patients should expect their gums to return to a healthy pink color relatively soon after a deep cleaning. Within about a week, there should be less bleeding and gums shouldn’t be as sore. By the time a patient goes to their first follow-up appointment, the gums should be much healthier. However, patients who do not follow the dentist’s recommendations are not as likely to have such impressive results. Those who continue to smoke or who don’t brush, floss and rinse as directed may not heal as quickly. After each scaling, patients can expect to have some discomfort. However, it’s important to follow the dentist’s recommendations for keeping the teeth and gums clean. The dentist may suggest using a soft toothbrush and a toothpaste designed for sensitive teeth. Patients may want to avoid very hot or cold foods and drinks for a few days because teeth are more likely to be sensitive immediately after a deep cleaning. Patients who smoke should avoid doing so for at least a few days after scaling. Tobacco and the other chemicals in cigarettes irritate gum tissue and could delay healing. A dentist may suggest some options to help a patient quit smoking prior to the procedure to give them a better chance of a successful treatment. Although patients can eat a normal diet after a deep cleaning, it may be easier to eat soft foods such as macaroni and cheese, soups, mashed potatoes and pasta until their gums have healed. Hard or sticky foods should be avoided. Brushing after every meal can help remove food as well as plaque from the teeth and promote healing. The Smile Gallery practices the Art of Fine Dentistry. We work to ensure our patients have the most relaxed and comfortable experience possible. Our individualized patient attention means you receive the best care possible. Our friendly staff is ready to greet you warmly, set you at ease, and create a level of comfort and customer service rarely seen in the dental industry. We understand patients who have dental anxiety and have been working for years to provide the safe, comfortable environment that makes you want to see your Escondido dentist a few times a year or anytime your teeth need dental services. Can’t find exactly what you are looking for? We’ll reach out to you to discuss your dental needs and how we can help! People avoid regular dental care for a variety of reasons. Some people have dentophobia, a fear of receiving dental work. Others feel they can’t afford it or are just too busy.